You are family! Working at the Exchange provides a connection with the military community and a place where you always belong. We are Family Serving Family. Let’s get to work building a future that matters. Be part of something global - something bigger and something that fits you. The Exchange offers positions at your local military installation, with lifestyle scheduling and industry leading benefits in a fun and fast paced environment. Find your career at the Exchange! The Exchange’s commitment to serve those that serve doesn’t just apply to those in uniform. We understand that Military Spouses serve in an extraordinary way right alongside them. They understand the day to day challenges faced by the military families and therefore form a special bond with our customers. One of our core values is Family serving Family and no one knows military families better than Military Spouses. 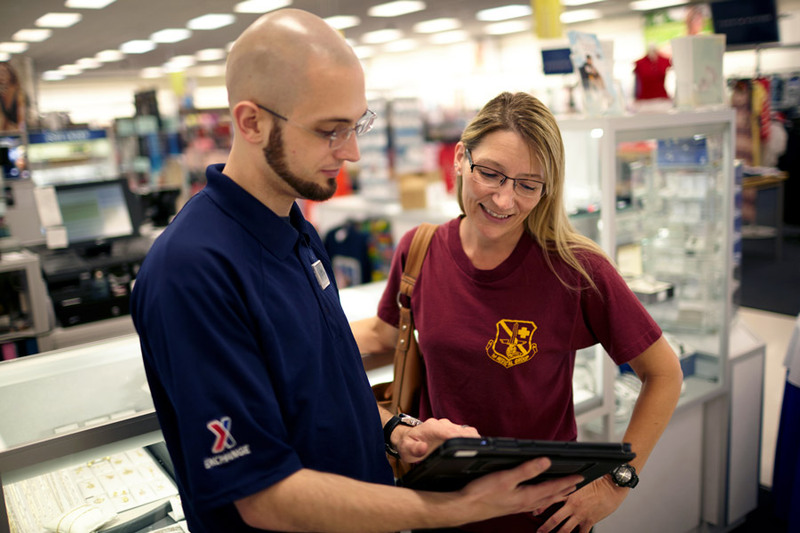 We strive to make our customer’s experience a great one and Military Spouses play a key role in that. Military Spouses and family members provide the stability in Military Families and here at the Exchange we provide you with stability. We are located where your family is stationed, and we have numerous job opportunities for you to choose from. With 1,400 stores in 30 countries your career doesn’t have to end when you PCS. We strive to assist our Military Family members to secure a new position at their next duty location, before the bags are unpacked! We will be happy to discuss this and other spouse programs with you at your local HR office. Apply now and start your career with your Exchange family!